Step out onto the golf course in this truly beautifully designed Green Lamb polo shirt. 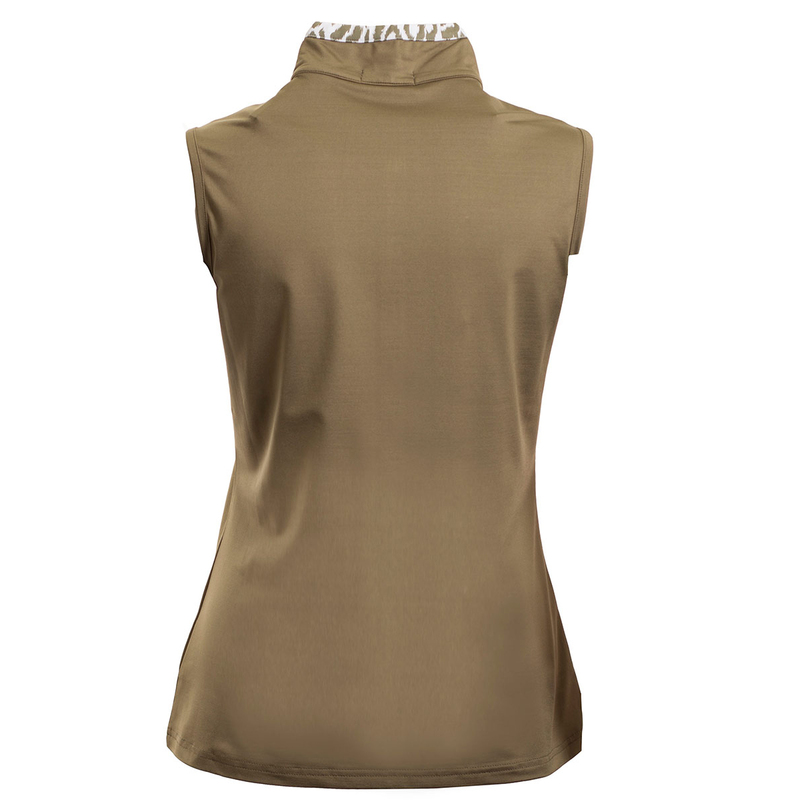 This high performance sleeveless polo is ideal for playing golf this season, with a tech performance fabrication that is lightweight, highly breathable and moisture wicking and has stretch fabric which is perfect for sporting activities. The polo has been styled with a khaki leopard print trim and a faux pocket with button on the chest.